Home Decor Tip: Creative Shutters Headboard! Use this Creative Shutters Headboard tip to transform any bedroom in a jiffy! 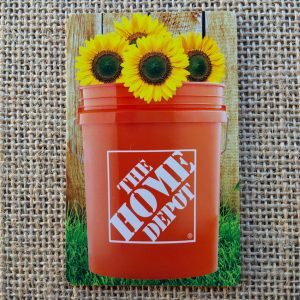 Thinking outside of the box is essential when it comes to Home Decor ~ not only will you come up with some creative solutions… you’ll love the FUN results! Like this Home Decor Tip for a Creative Shutters Headboard! 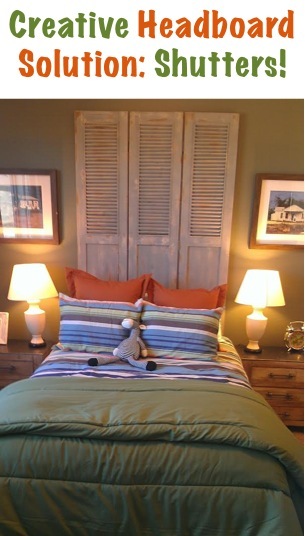 Rather than a traditional headboard, vintage style shutters make a fabulous statement piece! 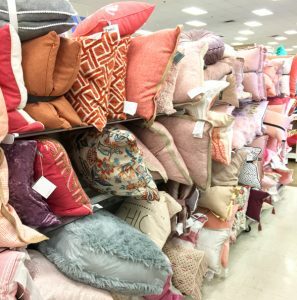 Check your local flea markets, Hobby Lobby, and other decor stores for some unique pieces that just might be the perfect addition to your bedroom! Simply attach to the wall, and you’re done!